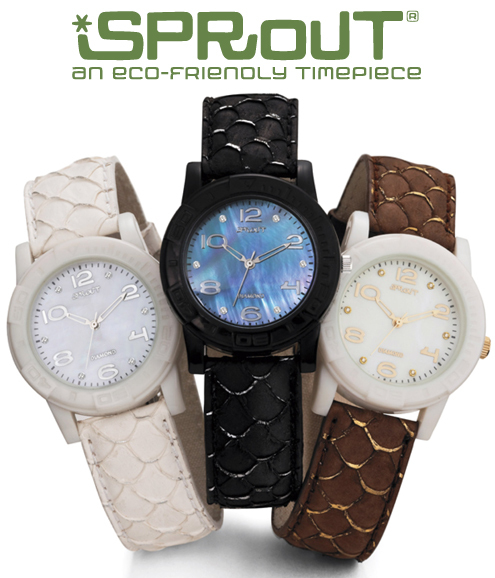 Green Gift Giveaway: THREE Sprout Eco-Friendly Watches! There are some green products that will always be on my go-to list when gift-giving time comes around. 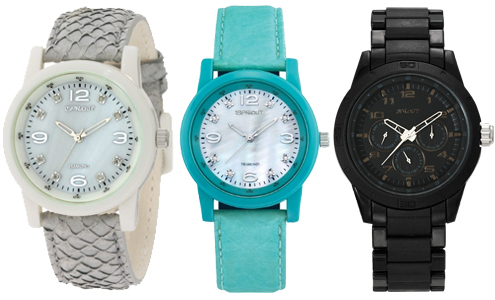 Sprout Watches are absolutely among those items — which is why they appear in so many categories of the Green Gift Guide! They are stylish, high quality, eco-friendly and affordable. 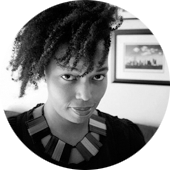 And best of all, Sprout is constantly evolving and releasing new styles. So while you can get some of the same watches this year that were available last year, you can also find a variety of new styles. Among those new styles are watches made from — believe it or not — fish leather! Yes! Sprout recycled skin from salmon and other fish to create bands with beautiful texture, as shown in the photo above. Fish skins are an eco-friendly alternative to traditional leather because it is made of the by-product from fish farmers who are catching non-endangered species for human consumption. In other words, if companies like Sprout didn’t find ways to use it, it would simply be thrown away. Fish skin is praised as being one of the strongest leathers on earth, as well as having great elasticity. Plus, there’s the bonus that no two skins are exactly alike. 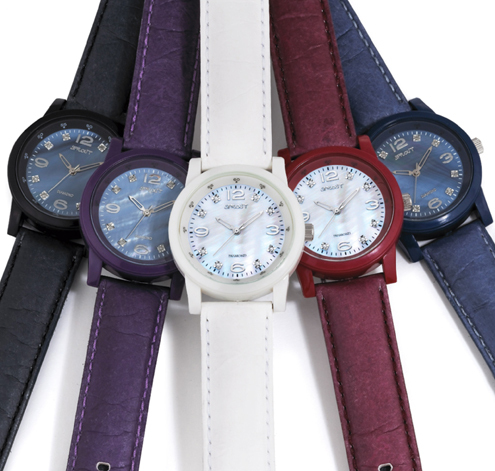 Their other new watch style is made from Tyvek®. Ever had one of those really tough envelopes from the post office that you couldn’t tear with your hands if you were Hercules? They’re made of Tyvek®. It is a very strong, high-density fiber that is also water and tear resistant AND recyclable. Also, given the nature of the fibers, Tyvek® develops a leather-like look over time, as you can see in the photo above. Continuing Sprout’s history of innovation, they’ve found a way to turn this material into a long-lasting product rather than a throwaway. Seriously, how could I not love this company? I have never ever looked at salmon skin and thought to do anything with it but toss it — immediately. So anyone who can figure out how to turn something I’d never give a second thought into a product I’d be happy to give as a gift will get my attention every time. All Sprout’s watches are made from eco-friendly materials, including bamboo, organic cotton, recycled Tyvek, fish leather (yes! ), biodegradable corn resin, stainless steel, mineral crystal lens, natural Freshwater Pearl Bracelet and more. Sprout packaging is made from at least 80% post consumer fibers. It is both recycled and recyclable. My favorite product is the men’s watch with the corn resin bracelet, mineral crystal lens and bamboo dial. I had no idea that corn had so many uses. I also like that these watches are actually pretty nice looking and n0t what I would think an eco-friendly watch would look like. 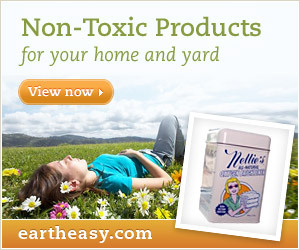 I like that the company doesn’t make any wild claims and states that they are trying to be as eco-friendly as they can. “Promising Less and Delivering More” they say. AND 1% of their sales goes to two environmental groups. Sprout gets 2 thumbs up from me. My favorite is ST/5500JMPR – sugarplum Tyvek® strap with matching corn resin case and buckle. I like that it’s pretty, purple and eco-friendly! oh how awesome! one person wins all 3 wow!! I love that they are not only eco friendly but they dont slack on being stylish while doing it – good job Sprout! Cool! I like the Gray Corn Resin watch. Mercury Free Batteries are a great incentive to purchase Sprout. I hadn’t thought about regular watch batteries until reading about this on the Sprout website. Loving my Blue Tyvek watch I received yesterday! I really love the men’s watches with corn resin bracelets. The look of the faces with the bamboo is really cool. I love all of the corn resin watches and the bright colors. So awesome. The Sprout company would be a great place to work. I really enjoyed reading about them, their mission statement also. It was good to read about a company who knows it’s their employees that help make the company. Sprout is a company that also respects the environment also. I will definitely bookmark their site. I respect companies that try to reduce their carbon footprint. Their watches are beautiful! I am really impressed with the selection of watches. I really think this watch is cute for casual weekend wear. ST/2019MPLG. I like the watch with the blue fish leather band. I love the fish leather style! I love the ST/6004MPWT watch. So simple, but so cute. The owl watch is so cute!! !